Please feel free to watch any of our video testimonials below. These are real customers offering real reviews for our company. The projects range from replacing sliding glass doors in Petaluma, window replacements in Petaluma, Oakland and San Francisco, French sliding glass door replacements in Sonoma County and more. There’s nothing better than having one of our clients give us a testimonial for our website. Feel free to watch the video in full screen by clicking on the small square or share the video on Facebook by clicking the “f.” At Save Energy Company we want you to enjoy the experience of making your home or business more comfortable and convenient with new replacement windows and doors. Call us today 1-800-728-3878. “Working with Save Energy Company has just been fantastic!” French Sliding Patio Door Installation, Sonoma County Ca. 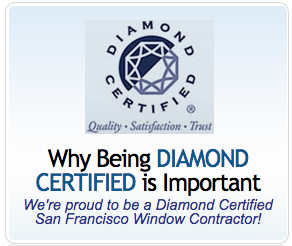 “Save Energy has really nice windows and keeps the house warm.” Window Replacement, San Francisco CA. “We used Save Energy Company for our window replacements for two bedrooms, a closet and an upstairs hallway and it’s made a tremendous amount of difference in our energy usage…” New Double-Paned Windows, Oakland CA. “…I found my local family owned company Save Energy and I have been thrilled! They beat the other prices, they came in a timely way, they were efficient, easy to work with…” New Windows Installed, Petaluma CA.